Homeowners have a very expensive choice on their hands. 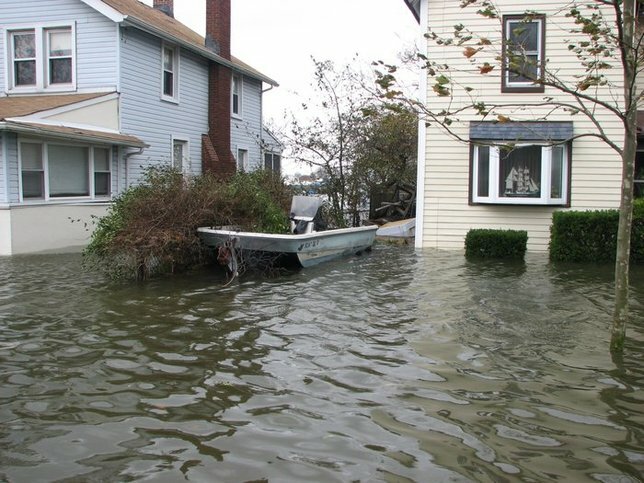 Homeowners with water front properties are facing a new battle after Hurricane Sandy. This time it’s flood insurance. Some New Jersey residents have to deal with the very expensive choice of putting their house on stilts for $150,000 or face up to $30,000 a year in flood insurance. Many owners don’t know when they’ll have to make the choice of hoisting their homes 14 feet in to the air. They’re waiting on FEMA to finalize flood maps to see what zone they’re in. The zone homeowners are placed in will decide how much they’ll have to fork up. Government officials say if owners raise their house they are able to receive federal aid. New York City will receive $350 million and New Jersey will get $600 million in aid. Despite knowing how much money is being distributed, there is no definitive answer as to how much a single homeowner will receive. One of the reasons for these sky rocketing costs is the Biggers-Waters Flood Insurance Reform Act. The bill, which came about before Hurricane Sandy, allowed flood insurance premiums to get raised to levels the average middle class family can’t afford. While some homeowners are afraid of what they’ll have to pay, others have another problem. Some houses with a brick or cement foundation just can’t be raised. These people have to either fill their first floors to meet the new flood insurance standards or knock down the house just so they can raise them on stilts. Homeowners waiting for these new regulations to kick in are afraid they won’t even be able to sell their homes with such high flood insurance costs. Officials are saying that people should be preparing for storms like Sandy but many are skeptical. People have lived in those shoreline houses for generations with super storm Sandy being the first major problem. Where Is the Discipline and Commitment of Yesteryear? Subject: LongIsland.com - Your Name sent you Article details of "Flood Insurance Costs is the Latest Issue in the Wake of Sandy"